Is this the end of credit card payments? I have a small share portfolio. I am not in debt. How does one obtain a credit card if you are self-employed? 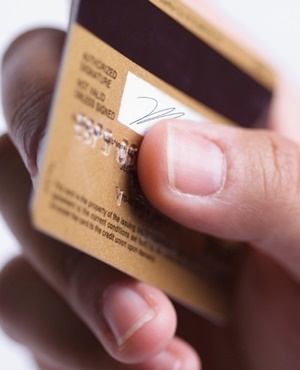 How does one obtain a credit card if you are self-employed? The amended National Credit Act (NCA) requires a new stringent credit risk assessment, as well as an affordability calculation and income verification for all new credit applications. This might impact adversely on the approval status, credit limit and risk-based-pricing extended to the customer. As a bank we do get credit card applications from self-employed customers who are in good financial standing with no debt reported to the Credit Bureau. Though this implies sound financial conduct, having a healthy credit record, also helps to obtain a healthy credit score. This, therefore, makes it a bit more challenging to assess the credit application of such a self-employed customer automatically, but is definitely something we grant on a case-by-case basis. For these customers we use internal data as well as application data to determine whether a credit card can be approved, thus any other products with the bank that is in good standing will result in a benefit to your application. Secondly, as a regulatory requirement we need to verify sustainable income. In order to prove your sustainable income, we would require as much proof as possible of the financial status of your business, and each application is assessed individually. - Income tax certificate as issued by the SA Revenue Service. If your income levels fluctuate, be realistic about what you can afford in months where the higher income does not realise. Prepare a detailed budget, review your bank statements and make notes of your commitments. Consider all your expenses, regardless of their size and include those which are due on an annual or quarterly basis. Always be realistic, open and honest. Not being able to afford credit card repayments has much worse consequences than the embarrassment of being declined upfront. Prepare for the application process. What you present and the format in which you present your credit application speaks volumes of your view on not only your business, but your financial responsibility and maturity. For sole proprietors - that is where the self-employed customer does not have audited financial statements - the income declared when applying for the credit card would need to be supported by their latest, up to date, IT34. Provide up to date audited or signed financial statements, year-on-year for a minimum of two years. Consecutive financial statements will give the financial institution a view of the business' performance which would influence the outcome of the application. Should the customer’s latest audited financial statements be older than six months, it is important to provide the bank with up to date management accounts for the business. This will give the bank an up to date view of the business’ financial status. In support of the management accounts, an unqualified letter from the registered accountant declaring the monthly gross and net income of the self-employed applicant would be required. Again we go back to financial discipline of not only the self-employed individual, but his or her ability to manage funds in the business to make provision for the reality of creditors not meeting deadlines or seasonal trends in their chosen industry. In most instances, a salary slip does not guarantee a steady future income, but it does give the bank a strong indication of the exact amount that the customer earns while he or she remains employed. However, in the case of a self-employed applicant, the ability of the business to generate cash is by nature more volatile than a salaried employee. Any changes to the income levels of the company could immediately affect the earnings of the customer, impacting his or her ability to repay the debt.